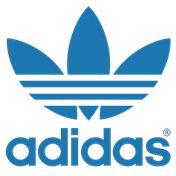 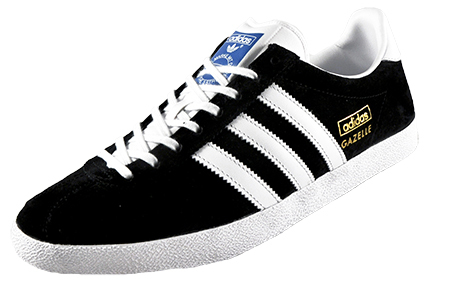 The Adidas Originals Gazelle gained in popularity as a running shoe through the 80s and became popular on the football terrace, and is still highly revered today. 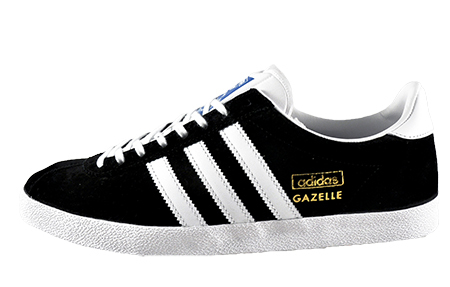 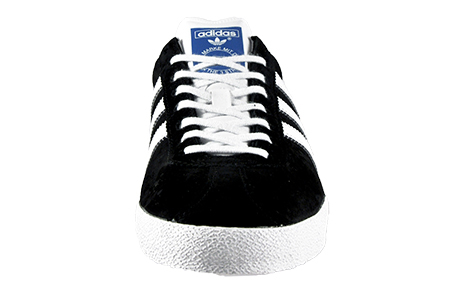 This style comes in a Core black suede upper and features a full lace up fastening, contrasting three stripe leather branding on the sides and gold 'GAZELLE' lettering delivering Adidas sign of approval. 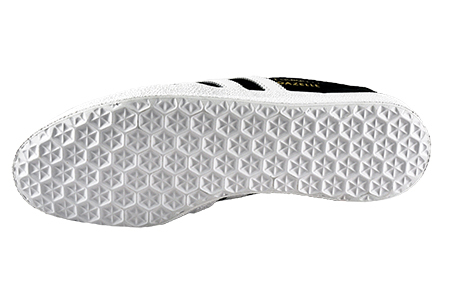 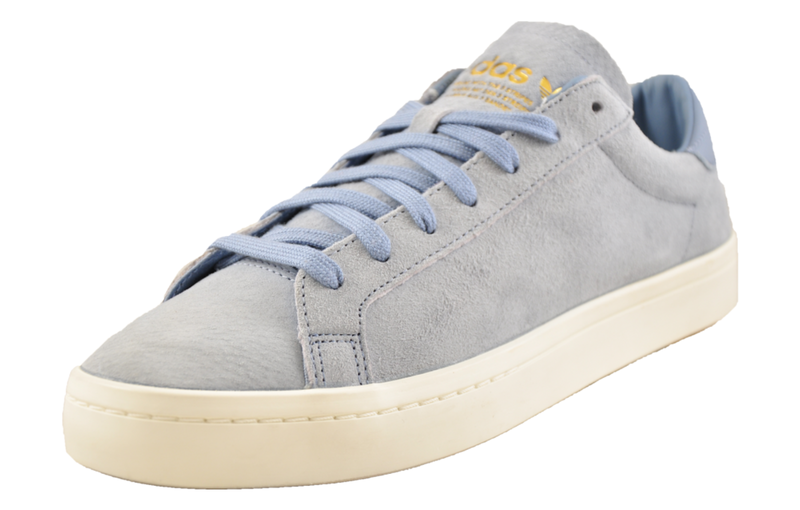 Other details include embossed branding on the tongue and contrasting heel piece tonal panelling on the toe. 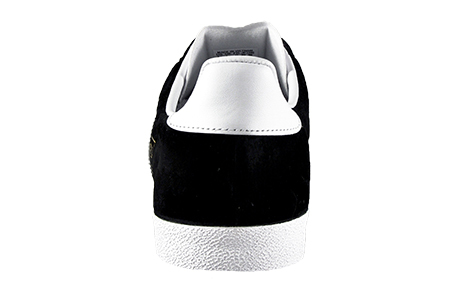 Further details include a leather lining on the ankle, white textured midsole and tonal stitching throughout to complete the iconic look.